Whew! It has been a CRAZY few months of life. Mostly in regards to our home search! We began looking more seriously in March and found a place and was under contact. I began my plans for some minor renovations. Then the house fell through and I was really bummed. But less than 24 hours later we had another home (same floor plan- WIN) under contract! It has been a bit of a bumpy road, but today we finally get to close the chapter of hunting and the waiting process! As we have been on this hunt, it reminded me of when we first got married (5 years tomorrow!) and how we were on a super strict budget. Well, we still like to stay on budget, but it is a little more relaxed than those first few months. I learned the art of getting the most for my money from my mom, and I am very thankful for that skill! Today I will be sharing with you one of the most simple meals I make that is the most cost efficient but also tastes great and lasts several days! I am linking up with Farrah from Fairyburger, Annmarie from the Fit Foodie Mama, and Jess from Hello to Fit for our frugal finds themed week! Boil water and follow directions on box for linguini. Add tomato sauce to the browned meat. Add more spices to taste. Mix in with the prepared linguini. Enjoy your meal that costs approx $2.02 -$2.65 per serving! Join us next week for some Creative Ice Cream themed recipes! This entry was posted in Uncategorized on June 24, 2016 by chocolaterunnergirl. Since we have been celebrating the end of the school year and the beginning of summer, I wanted to make a fun yet healthy treat. I have been eyeing Annmarie’s sweet potato blondies for a while now, and decided to finally make them! Perfect timing for this weeks theme! I am linking up with Farrah from Fairyburger, Annmarie from the Fit Foodie Mama, and Jess from Hello to Fit for our Fav Foodie Blogger themed week! In a large bowl mix together mashed sweet potato, almond butter, protein powder, maple syrup, egg & baking soda. Scoop into an 8×8 baking dish. Smooth the top to ensure it is even in the baking dish. Bake for 22-25 minutes, or until a toothpick comes out clean when poked into the center of the blondies. Remove from the oven, let cool then cut into squares. While the blondies cool, heat 1 oz of white chocolate chips in the microwave for 20 seconds at a time until they are all melted. Scoop melted white chocolate into a decorating bag and squeeze onto the blondies. Join us next week for some Frugal Finds themed recipes! This entry was posted in Uncategorized on June 17, 2016 by chocolaterunnergirl. I have been thinking a lot about the topic of grief lately. Well for the past 6 months pretty intensely. A little over six months ago my dear friend Shannon passed away in a horrible car accident. Then 4 weeks ago today my sweet friend Emily passed away from her courageous battle with cancer. The loss of both of my friends has left a huge hole in my life. No matter what the reason, loss is hard. I can’t speak for everyone, but I am sure I am not alone when I say that loss has affected my life in many ways. One area that I really noticed changed a bit was my exercise routine and even my levels of desire to workout. Some days I was overwhelmed with feelings of grief. Some days a good hard run or workout was what I needed to clear my mind a bit. Other days skipping the gym and getting extra rest was what I needed! Other the past few years I have worked on approaching how I process loss in a healthier way. In previous circumstances I have found myself on the 2 extreme ends of the spectrum. Either excessive workouts or none at all. How about you? Have you noticed loss or other life events cause change in your motivation levels to workout? How did you change your schedule to allow yourself time to grieve? 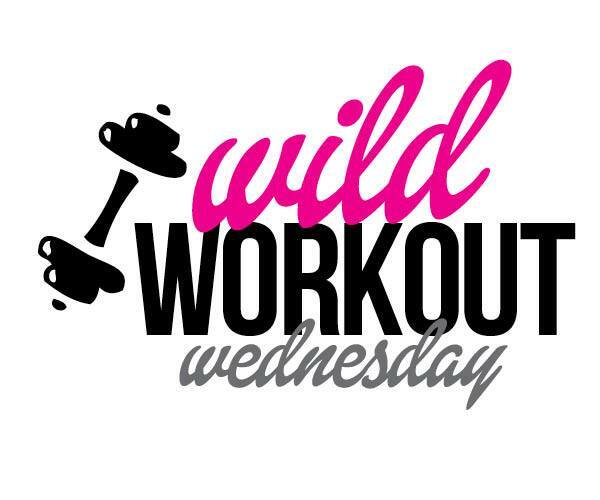 I am linking up with Wild Workout Wednesday with Annmarie from The Fit Foodie Mama Michelle at Fruition Fitness and Nicole from Fitful Focus and Jen from Pretty Little Grub. This entry was posted in Uncategorized on June 15, 2016 by chocolaterunnergirl. Summertime is here! Even though we have not actually passed the summer solstice, it is def summer break from school and summer activities are in full swing! I actually saw some Sun-In at the store last night!! I didn’t know they even made that stuff anymore! I can still vividly remember the smell of it in my hair as I attempted to go from a brunette to the beach blonde on the bottle! Haha, oh the memories. I don’t know what your summer activities may include, but my life pretty much revolves around the pool during the summer! My little community has 14 different pools plus several different splash pads that the kids love! Since we spend so much time at the pool, we are in constant need of snacks! This isn’t really a recipe today as much as it is some snack ideas for those of us who are on the go! I am linking up with Farrah from Fairyburger, Annmarie from the Fit Foodie Mama, and Jess from Hello to Fit for our on-the-go themed week! Simple yet delish! And healthy ways to keep the kiddos and myself fueled up for our fun summer days! Join us next week for some Food Blogger Love themed recipes! This entry was posted in Foodie Friday, gluten free, health, Uncategorized, vegan, veggies on June 10, 2016 by chocolaterunnergirl.